Smartphones have replaced music systems, but Radio stations are still in existence. Many people begin or end their day by tuning into their favorite stations. Radio is one of the cheapest sources of entertainment. It also makes you aware of the latest and breaking news free of cost. 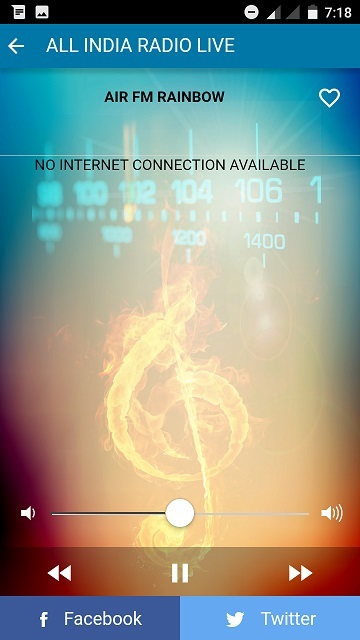 No matter where you are, what you’re doing and what your age is, you can connect your phone with the local radio station. If you’re a fan of All India Radio, then there’s a news that you might be interested in. You can now listen to your favorite channels on Android, IOS, and Windows phone without connecting the headset. To enjoy this service, you have to download the new All India Radio Live app. To use the app, you need an active internet connection ( 2G, 3G or 4G LTE data plan). The AIR Live app displays a list of channels when you run it on your phone. To start listening to the music, the user has to tap on a channel name. The name is accompanied by a heart icon. To make the channel your favorite, tap on this icon. As I’ve mentioned earlier, you have to enable a data plan on your mobile to use the app else you’ll not be able to hear music or news. The app will display internet connection required error when it doesn’t find a data connection. 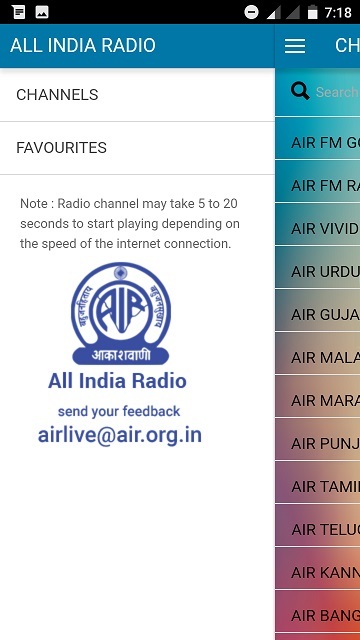 The All India Radio live app displays a slider to adjust volume. It has buttons to pause the current track (station) or switch to the next or previous channel. If you’re using a slow connection, AIR app will show buffering icon on its interface. 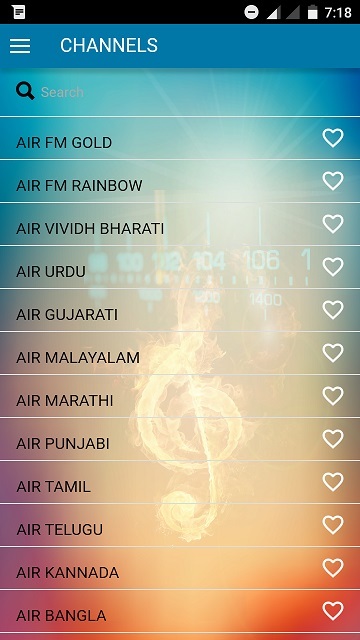 The app allows you to listen to radio stations in regional languages like Marathi, Gujarati, Punjabi, etc. It has the new Raagam channel that plays old and classic songs non-stop. The quality of sound is good. All India Radio for Android features a button to search a channel. Unfortunately, this app doesn’t support the background mode. The playback stops when you switch to some other app on your phone. It doesn’t add an option to change channels in the Android notification or the Lock screen window. The app displays a large Facebook and a Twitter button below the music control buttons. When you tap on any of these 2 buttons, the app opens the default Android browser on the screen. The browser loads the official Aakashvani page or twitter handle so that the user can follow or unfollow it. Download All India Radio Live for Android, Windows or iPhone. The All India Radio live Android app doesn’t feature third party advertisements. Its UI is simple, but the performance is not very good. It takes 11.26 MB space on the ROM or MicroSD card.